BARRY RUBIN: J-STREET EXPOSED AS WOLF IN SHEEP’S CLOTHING……. – The Tundra Tabloids……. 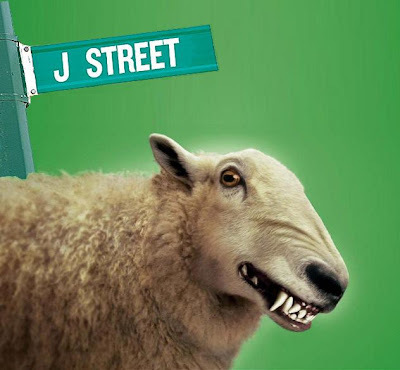 BARRY RUBIN: J-STREET EXPOSED AS WOLF IN SHEEP’S CLOTHING……. If you want to see how ridiculous the J Street fraud is, please read Lenny Ben David’s new research piece on the background of this organization. If you don’t know about J Street, it is an anti-Israel lobby being set up under the pretense of being a dovish pro-Israel group. While Peace Now and the Israel Policy Forum are in fact that kind of organization, J Street is something else entirely. The leader of J Street is someone who has no record of pro-Israel activism. But he was a paid lobbyist for an Arab country and involved in anti-Israel activities. Donors include a number of anti-Israel individuals as does the board of directors. And while the organization–which enjoys lavish support in much of the mainstream media–keeps claiming to have made pro-Israel statements, you’ll never find one. And how about J Street’s joint project with the Iranian regime’s front group in Washington to block sanctions against Iran? Urge people not to participate in this farce and ask members of Congress to remove their names–as many have already done–as endorsers of this effort. One more thing. This is not a left/right ideological issue. J Street is not a liberal dovish pro-Israel group, it is–though some participants are no doubt acting in good faith–a leftist anti-Israel group. Previous Post Previous Post LAWFARE JIHAD WINS MAJOR ROUND AS US AIR CHOOSES TO SETTLE WITH FLYING IMAMS……. Next Post Next Post US: MUSLIM MAFIA AUTHOR DAVID GAUBATZ: WHICH SENATORS PRESENT MORE EASY TARGETS FOR REQUITMENT BY CAIR……?